Click Here for 2010 Keuring Results and Pictures! Welcome to Our Keuring Information Page!! For information on Registering your horse or foal, visit www.BelgianWarmblood.com, and follow the link to Keuring Registration! We have been hosting BWP Keurings for the past 15 Years. We have the experience to help you prepare and show your mare, stallion or young horse to the best of it's abilities. Our charges for handling, stabling, and braiding are reasonable, and we try our best to create a friendly, open environment for people to learn about the Belgian Warmblood horse. Stabling: $40 per stall, $30 per paddock. We do not use shavings, so if you want bedding, be prepared to bring your own. All stalls are cleaned and sanitized thoroughly proir to the Keuring! Braiding: $40 per horse or foal. 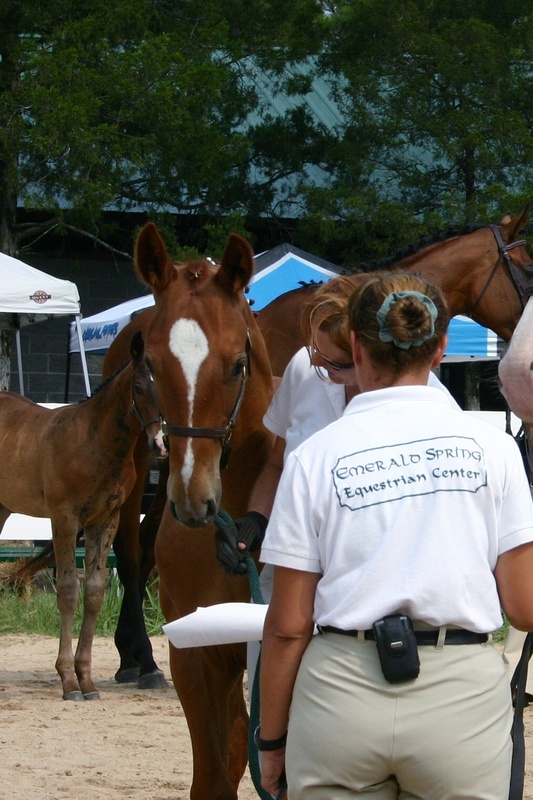 Fees for any services at Emerald Spring are due upon arrival, including stabling, handling, and braiding fees. Reservations for stalls need to be made by September 1st. 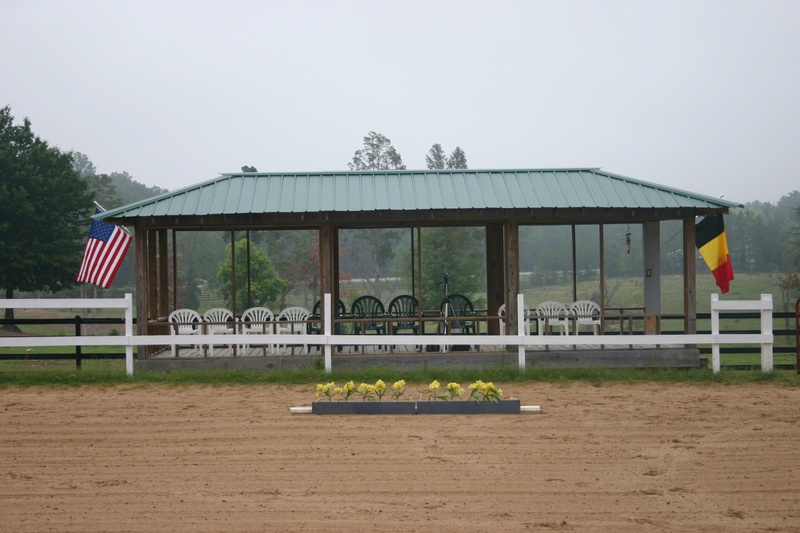 Stabling is limitted, and stalls are available first come first serve upon reservation. Paddocks will be available when stalls are filled. 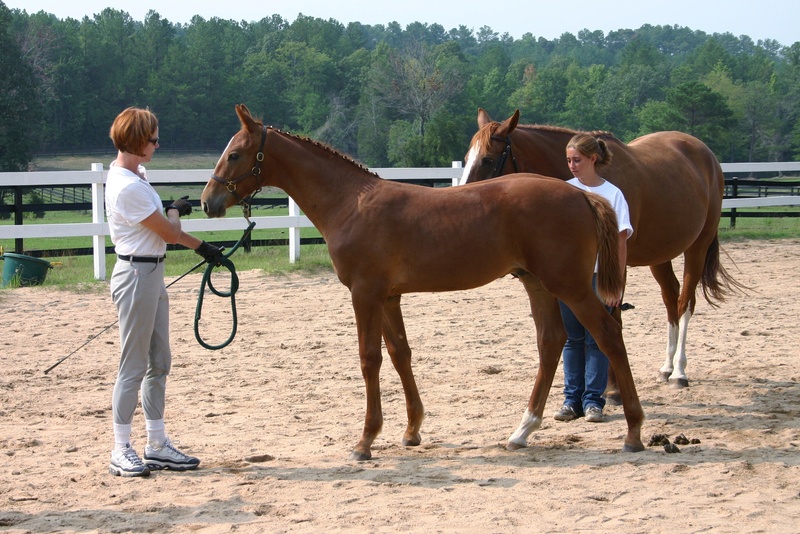 A copy of a current Negative coggins test is required prior to unloading any horse. Out of state horses will need a Health Certificate within the last 30 days. The closest hotels are in Newberry, SC. We have had good reports from the Hampton Inn Opera House in Newberry: (803) 276-6666. Travel time to the Farm is approximately 20 minutes. Columbia, SC Harbison area is the next closest, at about 20 miles, but there are plenty of restaurants and other activities close by. There are several chain hotel/motels in that area. You can Google for more information. Below are directions off of I-26 coming from either Columbia, SC or Greenville-Spartanburg, SC. I usually go through Greenville when I go to and from Atlanta. Take the toll road around Greenville-Spartanburg...it's worth it! From Columbia: Take I-26 W towards Greenville-Spartanburg, and take the Chapin exit (there is only one), and go left off of the exit ramp. Go into the town of Chapin, being very careful not to speed, as we have several "Barney Phifes." The road takes a sharp turn to the left, and goes over the RR tracks, and then there is a traffic light. Take a right at the light onto 76. go about two blocks, and take a left onto St. Peter's Church Road just after Hardee's. Go about 3 miles, and take a left on Dreher Island Road (there will be a reddish-brown "Dreher Island State Park" sign indicating to turn there, as well.) Go approximately three miles to the end of Dreher Island Road, and take a right onto Macedonia Church Road. Go a little less than a mile, and take the first left onto Holland's Landing Road. Take the first right off of Holland's Landing onto WJ McCartha Road, and our farm is on the corner on the left. The driveway is about 200 yards on the left. It is a circular drive that will be one way to the right for the Keuring. Go around the circular driveway to the right, and to the barn that you will see as you turn onto WJ McCartha. You can unload there, and we will show you where to park afterward. From Greenville-Spartanburg: Take I-26E towards Columbia. Take exit 74/ SC HWY 34, and go right off the ramp. Go about 2.2 miles, and take a left onto HWY. 76. You will go about 5-6miles to the town of Prosperity, where the road narrows from four to two lanes. Stay in the right lane, which veers to the right and turns into 391, and goes through "downtown" Prosperity. Keep going straight through Prosperity, and that road turns into Macedonia Church Road after the stop light in town (391 goes to the right at the light...stay straight!) You will then go about 6-7 miles on Macedonia Church Road, and you will see the Newberry County Safety/Emergency Complex on the right. A mile past that complex, Holland's Landing veers off to the right, WJ McCartha is the first right, and the farm is there on the left, as in the above directions. Standard Order of Go: Registration starts at 8:00 AM Sharp. The inspection starts at 8:30 AM with: Free Jumping of Stallions &/or mares qualified for Select Mare Performance Test, Under Saddle Portion of Mare Test, Under Saddle Class for BWP Registered horses, Older mares in-hand (age 7 and up), Young mares in-hand (ages 3-6), Two Year Old Futurity, Yearling Futurity, Horses for General Evaluation, Foals of 2009, Stallions In-hand and Under Saddle, Branding of Foals of 2009. Lunch: Each year, we try to make things fun and interesting. This year we will be having a covered dish lunch. The theme...your favorite recipe! Bring your best and/or favorite dish! High Score for Keuring, 83 Points! BWP inspects sport horses of many different backgrounds for inclusion into one of their studbooks. European Warmblood, Thoroughbred, and Arabian mares are qualified to be accepted into the Main Studbook of BWP. Other mares from sport-type breeds (non-gaited, non-draft) are eligible for the Auxilary Stud book. Foals from approved mares from both studbooks, are registered and branded, and eligible to compete as Belgian Warmbloods. Stallions from European Studbooks are eligible for inspection for approval for breeding with the BWP Studbook. Stallions that are approved must meet either age-specific performance requirements, or pass an approved 100 Day Stallion Test with a score of 90 or above.